Dear Visitor, welcome to the full description of my professional history. That was one of my students from three or four years ago. “Mr. V, you were the best physics teacher I had”. “And everyone tells that you are the best”. “Well, I know some students do not like me”. “Thank you, I had very good teachers, and I just try to do what I learned from them”. I would consider myself as a professional with an “out of ordinary” or “un-ordinary” professional experience, including teaching, and this conversation supports my self-assessment. I am aware of the fact that for some HR or other professionals making this statement about myself may be seen as a negative sign. But I do not see the reason why should I hide the fact that I have a talent which some other educators may not have. It does not make me better than others, but, hopefully, it makes me intriguing. Plus, I do not make a claim that I am good at everything. I like working in a team. The most efficient team is the one which is composed of people with complementary talents (especially in education). I believe the following ten pages (ten years of teaching!) of good words of what my former students have said about me, represent me better than any official Resume. * my Reflection on Voices of My Students. The main reason for representing student feedback is to demonstrate that when I talk (and write) about education, I know what I’m talking about. And I know it not because of books I’ve read, or my theorizing on the matter. I know it because of books I’ve read, because of my own theorizing on the matter, and because of my own deep, broad, and successful teaching experience. “Professor V, You designed this class so that those who put in the effort would succeed, so I gave it my all and sure enough. "I hated physics before taking this course, and now after taking both 105 and 106 with Mr. V, I actually really enjoy it. He is one of the best teachers I've ever had. Thank you"
“If I could give a 10 for Dr. Voroshilov, I would. Excellent teacher. Makes physics fun (which is a very hard thing). “I really like Professor Voroshilov. I think he is great at explaining concepts and is very underrated. Very helpful in office hours”. “He is able to clearly articulate and explain physics. “The live examples he gives in class help. knows his students. Knows physics and minds of students. “The professor is a lovely person. Friendly and eager to help”. “He can explain concepts really well. Brings in humor to make class more interesting”. “Good professor, I am not naturally good at physics, but he explains things well”. “Shows a strong willingness to help students and meet their needs”. “Availability outside class, always willing to answer questions”. “Much opportunity to get help and improve”. “I really enjoyed the course and webassign, homework was helpful”. One of the first statements I tell my students is that the most important ability for succeeding in a physics course (and in life) is not mathematics, or even logic, it is imagination (and persistence). Imagine that you are on a plain (or taking a train, or a bus), and talking to your neighbor. Turns out, he is in education; for years has been teaching math, logic, problem solving, but lately mostly physics; developed and taught courses to middle school students, to high school students, to college and university students, to students with learning disabilities; has a M.S. in Theoretical Physics and a PhD in Education with focus on teacher professional development; taught courses to teachers; consulted school and district officials on managing innovations in education; was a consultant to a state department of education to help with writing a program for strategic development of the state system of education; was an assistant to a director of a regional institute for teacher professional development, ran an institution responsible for development of analytical documents and policy recommendation for the department of education of a city of the size of Boston (and often did all this at the same time). No doubt, you would think that this guy was an expert in the field of education: an expert in teaching, an expert in advancing teaching practices. This guy is me, Dr. Valentin Voroshilov. I was wearing all those “hats” in Russia before I moved in Boston. My career was very promising, but I gave it up for a chance to move my family away from a new “Tsar”. At the time, I had no publications in English. I didn't even speak English. I had to start from a square one. First as a janitor. Learning English using books, radio, and TV shows. Today I have recovered the most of my previous career (very proud of it! ): I work full time at Boston University, I teach (mostly physics) and I am good at teaching; I publish (in English!). I’m productive. I am also reentering the field of consulting and teacher professional development. Based on my professional experience, I consider myself a driven professional (educator), an eloquent expert (in human intelligence), a productive author, and a collaborative colleague. In the end, I have a very broad teaching and research experience. In one word, I have become a TeachSmith, so to speak. The journey from a teacher to a TeachSmith was long and wavy, but not unique, has many shareable elements common to every professionally growing educator (and summarized in book “Becoming a STEM Teacher”). 5th-graders; 6-th graders; 7-th graders; 8-th graders; 9-th graders; 10-th graders; 11-th graders; 12-th graders; 2-year college students; 4-year college students; university students; school teachers; school administrators; district administrators. Physics for Engineers (two semesters); Elementary Physics (two semesters); algebra, geometry; trigonometry; formal logic; problem solving; group theory (discreet and continuous); methods for teaching science courses; methods for advancing individual teaching practice; managing innovations in education (initiation, implementation, growth, support, assessment, audit). Assistant to Director of an Institute; Director of Department of computerization and information technologies; Director of Center for Development of City School system; member or a team leader of a group of consults for schools and school districts (initiation, implementation, growth, support, assessment, audit of innovations in education). graduated from schools with high GPA; participated in a wide range of extracurricular activities; developed personal approach to teaching (flipped the classroom before the approach was described in publications); published papers on various aspects of advancing education; converted publications into PhD theses and then found an adviser; moved to a country without knowing the language; learned the language; learned how to teach using foreign language; started publishing in foreign language. At the top of my Russian career, before I moved to Boston (in 2002) I ran an institution which was an analytical branch of the City Department of Education of a large city with about 1,000,000 citizens and about 130 schools (most of which would represent an equivalent of the combination of American elementary, middle, and high school together). And before that I was in the field of a teacher professional development (please, see below for the details). But my main professional achievement is being a good teacher. I am a highly-experienced educator. I have been successfully designing and teaching my courses and helping to design various courses to many educational professionals. As an instructor, I am definitely above the average level, with a solid formal proof of that fact in the form of my student evaluations (http://www.teachology.xyz/evvv.html); with a strong conceptual view on what teaching is and how to teach effectively, efficiently, and sufficiently (http://www.cognisity.how/2016/10/book.html); with a strong experience in teacher professional development (http://www.cognisity.how/2016/10/facilitating.html); with an experience in inventing and implementing into a teaching practice new and effective teaching instruments helping students develop deep understanding of the subject (physics), (http://www.cognisity.how/2018/04/MOCC.html; http://www.cognisity.how/2018/02/Algorithm.html; creativeness, and critical thinking http://www.cognisity.how/2018/02/thinkphy.html; http://www.cognisity.how/2018/03/ZPD.html). The rest of this letter details my experience in the field. These are quotes from many nice words said about me by my former students (this link GoMars.xyz/evvv.html provides more examples, including the latest). Three times since my university graduation, I had to re-start my professional career from a square one. This feedback is one of the proudest achievements of my professional life. I believe your view of an educator, is similar to mine, i.e. at the core of an educator is a person who loves learning, who is good at teaching, good at understanding the logic of learning and teaching processes, one who can clearly express that logic to students and to colleagues, the one who can think outside a box, who can create non-obvious solutions to non-traditional problems, one who can help colleagues becoming the best teachers they can be. 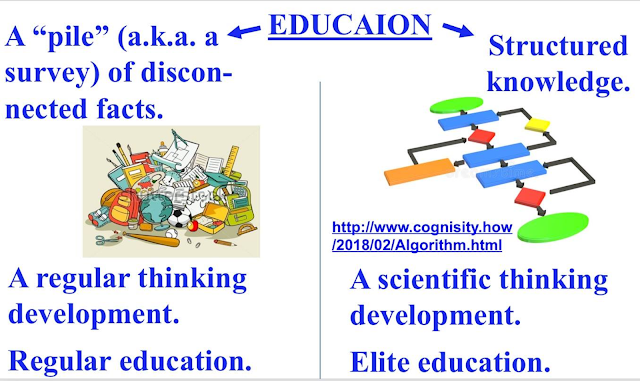 A good teacher is a teacher who can teach not only memorizing and repeating various – even very complicated – patterns (that is essentially no different from training animals doing tricks – BTW: that is what all current AI-systems do); but also beyond; i.e. a good teacher is a teacher who, in addition to solid knowledge and skills, can teach how to think creatively and critically – which is the essence of Human intelligence. Currently the AI filed has no common definition of Intelligence, that is why I have developed my own. Intelligence is an ability to create a solution to a problem which has never been solved before (by the host of Intelligence; Cognisity.How/2018/05/AHLI.html). My definition not just grasps the quintessence of intelligence, but is also operational, i.e. measurable (hence, teachable). For me, the vital and ultimate goal of teaching is helping students to advance their intelligent abilities, i.e. helping them become truly human (and I teach this to my students, no matter what specific subject I teach at the time; using my own technique: Cognisity.How/2018/02/Algorithm.html; Cognisity.How/2018/02/ThinkPhy.html). I have no doubt, I would be a good fit as a member of any professional team of educators. What may make me stand out of some other educators is the breadth and deepness of my professional experience. I have a deep knowledge of the main subject I teach (M.S. in Theoretical Physics), as well as augmented subjects (math, logic, problem solving, human psychology, methods for teaching); I am an expert in teaching methodology and teacher preparation (PhD in Education, experience in consulting teachers and administrators); I have a deep knowledge of Human Intelligence; I have an extensive and successful tutoring, teaching and research experience; I believe, all this makes me a teach-smith (so to speak; GoMars.xyz/TeachSmith.html). I have a successful experience in designing and teaching courses for middle school, high school, college and university students, pre-service and in-service teachers. I have a clear vision of the structure of an effective on-site or online science courses (the latter should be more than a standard combination of “talking heads”, hyperlinked texts, screen simulations, and chat rooms). I love working with teachers, but not because I cannot teach students – on the contrary, my student feedback tells me that I am a good teacher. I love working with teachers because I am good at teaching, and I have professional experience I would love to share. A large portion of my experience in the field of teacher professional development was summarized as a chapter in a book (Cognisity.How/2016/10/facilitating.html). There is, though, the seed of truth in the joke. It is just a fact that when someone is good at doing something, it does not necessarily mean that the one can also clearly explain what the one does, and why the one is good at it, because “clear explaining” is also a special skill. I am lucky to have this skill, and happy to offer it to students and colleagues. My professional goal is very clear – I work hard to maximize my professional output by applying all my skills and experience. Three times since my university graduation, I had to re-start my professional career from a square one(GoMars.xyz/vv.htm) and but I think I may be ready to my last transition. When I was receiving my MS diploma in theoretical physics, I thought I would be becoming a physicist. However, when the Russian economy collapsed, in order to feed my family, I turned to tutoring, and later to teaching middle and high school students, and then college and university students, and then teachers. At the time, schools were some of few places where the government sometimes paid some money. Soon I realized that students liked my teaching, and I liked teaching students, and I started my second career – as an educator. I joined a team of innovative teachers, administrators, researchers, and consultants. Our team has been running various teacher professional development activities, including a year-long projects involving teams from multiple schools, with the end of a year bootcamp for students and teachers. As the result, in addition to teaching, I also entered the field of teacher professional development, and educational consulting, and got my PhD in Education (specialization in andragogy, concentration in teacher professional development). However, I did not like the changes in the political atmosphere. But more importantly, leaving was the only way for me to save my son from being drafted in the Russian Army (which at the time was not much different from Somali pirates). In 2001 a miracle happened – I won a Green Card. Personally, moving to the U.S. meant for me being degraded - professionally and economically - but I saved my son and my free speaking spirit. When I moved in the U.S. I started my third career from a square one (my first job was a janitor at a supermarket). Since no one knew me, and I knew no one, and I spoke just very basic English (which I learned myself from books, tapes, TV and radio shows), the journey to reestablishing myself as an educator was not quick and easy. But today I teach, I write, I research. I am proud of my current achievements, but I am always open to making the next step in my professional journey. For example, I am always open to more teaching and to a collaboration on development of new approaches to teaching and teacher professional development. I have been involved in many collaborative projects which had led to the development of new curricula, new course content, efficient tools for managing teaching activities and learning experiences, facilitating teacher professional development, running professional development workshops for teachers and administrators. Some tutors would help a student to do the homework, and then a student would come back with a new homework, and then again, and again. For me it felt like cheating. I wanted to teach my students how to do their homework on their own. My goal was to help a student reach that level of understanding so he or she would not need me anymore. It may have looked counterproductive – money-wise. But in reality, it worked for me very well, because parents of my students told about me to other parents, and I had plenty of clients. Teaching and tutoring physics, algebra, geometry, trigonometry, problem solving, logic helped me acquire an integrative view on various difficulties students may have and effective approaches to guide students through those difficulties. My Doctoral work was focused on the approach for igniting and supporting teacher’s sustainable desire to grow professionally, and on methods for helping educators to design the most effective path for their continuous sustainable professional development (teaching teachers about teaching requires deep and wide understanding of learning, teaching, and of the teaching subject). I have a long and successful experience in teaching various mathematics and physics courses, courses for pre-service and in-service teachers and school administrators. I have been teaching Mathematics and Physics to almost all possible categories of students (i.e. to middle- and high- school students, 2-year and 4-year college students, university students, to students with learning difficulties, and to school teachers). I also have been teaching various curses for in-service teachers (in parallel with teaching math and physics). For a number of years, I had been working at a regional institution for teacher professional development, providing various courses and training to teachers and school administrators. Individually and as a member of a team I was consulting and auditing individual teachers, schools, and school districts regarding educational policies, teaching technologies, learning outcomes, and quality of education in general. Alone and with my colleagues, I was traveling to towns and villages of the Perm Region to meet with teachers and administrators and helping them with adjusting teaching and administrative strategies and techniques in order to achieve better learning outcomes of their students; including preparing strategic plans for systemic development of a school, a district and a regional education system. My years of personal tutoring and teaching provided me with invaluable insights into how people learn and how to help them to master a subject and to become a more efficient learner (my teaching philosophy is summarized at Cognisity.How/2017/11/method.html). I have been sharing this experience with many students, teachers, and colleagues. I have strong communication skills, deep understanding of pedagogy, wide teaching experience, and competent in using a variety of educational software products. My personal teaching experience has always been entangled with my research and consulting practices, and this entanglement represents one of the most helpful assets I have and use when working with students, colleagues, teachers, and administrators, because I usually know what students, colleagues, teachers and administrators may want or need, what obstacles they may encounter and need to overcome, and how to help them to do that. I am confident that my teaching, research, and administrative experience would let me to be a serious asset for a team of innovative educators, specifically, effective instructional designer. P.S. What usually confuses HR associates is the fact that never in my life I was holding only one professional position. Since the time when I was a middle school student, in addition to taking classes or having a full-time position, I had always had some additional job or jobs on a side, and then later in my professional career I held at least two official positions, and sometimes even three. And I firmly believe that my “extra” experience only amplifies my experience, no matter which specific professional position I would hold. PhD in Education: “Organizational and pedagogical conditions for helping teachers to master project-based approach for designing their own teaching practice”. (a study on the methods for motivating teachers towards continuous professional development; which has become a chapter in a book). I) as a faculty member of a research university: facilitating, monitoring, consulting faculty on developing curriculum, preparing lectures, incorporating various teaching activities into a course, analyzing the learning outcomes of students. Responsibilities: Curriculum development; developing and editing lecture notes, homework assignments, laboratory manuals, exams; lecturing, overseeing work of teaching fellows and learning assistants. Responsibilities: Cooperating with the faculty on using existing and developing new physics demonstrations and helping faculty with implementing contemporary teaching research-based techniques into the teaching practice. Visiting Lecturer: Algebra Based Physics. Adjunct Lecturer: Algebra Based Physics. Responsibilities: Organizing and guiding teaching fellows – participants in GK12 project – on the use of physics demonstrations in Boston schools. Responsibilities: Curriculum development for and leading workshops “Physics - Demystified” for BU students. Physics Laboratory Instructor: Department of Applied Mathematics and Sciences. managing teams of professionals of an institution responsible for development of analytical documents and policy recommendation for the department of education of the City of Perm. An assistant: to the Director/President of the Faculty Assembly of the Institute. Director: Department of computerization and information technologies. Member: of the consulting group for schools and school districts. What is “Teaching” and “Learning”? A short essay, where I summarize my views on what is teaching, what is learning, and why everyone should learn physics these days: Cognisity.How/2017/11/method.html. An actual level of difficulty of test problems and its subjective perception by students // 2009 AAPT Winter Meeting, Chicago, Feb. 15 (2009). Making the Transition from Introductory to Upper-Level Courses // 2009 AAPT Winter Meeting, Chicago, Feb. 15 (2009). On a Definition of Work // The Physics Teacher, Val. 46, May 2008, p. 260. Energy from nothing? // Physics Teacher, Vol. 45, No. L1, p. L1, July 2007. The Comparison Between Russian High School And American College Curricula // 2007 AAPT Winter Meeting, January 2007. On electron pairing in a periodic potential // Physica C: Supercunductivity, V 470, # 21, November (2010), pp. 1962 – 1963 // http://dx.doi.org/10.1016/j.physc.2010.08.007. Classification of Educational Self-Determination of Students // in the journal “School Principal”, Moscow, Russia, 2001. Universal Algorithm for Solving School Problems in Physics // in the book "Problems in Applied Mathematics and Mechanics". - Perm, Russia, 1998. - p. 57. On the Necessity of Modeling by a Teacher of His/Her Own Pedagogical Activity // in the book “Development of Scientific Intercommunications in Eurasia”. - Berezniki, Russia, 1997. - p. 172. Application of Operationally-Interconnect Categories for Diagnosing the Level of Students' Understanding of Physics // in the book “Artificial Intelligence in Education”, part 1. - Kazan, Russia, 1996. - p. 56. Quantitative Measures of the Learning Difficulty of Physics Problems // in the book “Problems of Education, Scientific and Technical Development and Economy of Ural Region”.- Berezniki, Russia, 1996. - p. 85. I summarize my views on what is teaching, and what is learning (my philosophy; the short version of it is available in Appendix III). What changes does US education reform need? Education needs its own “Manhattan Project”, or “Apollo Program”, which would reexamine the well-established paradigms, and would guide a broad search for new connections and correlations; which would combine newly presented advances in artificial intelligence with neuroscience to study and analyze multi-layered universe of individual, group, and institutional learning and teaching; which would bring in education newly developed technologies, including AI, virtual reality, augmented reality, top level robotics. This type of a program can be initiated via institutionalizing a collaboration between various professional and scientific groups by establishing a specific institution – an Institute for Learning and Teaching (the name is tentative, of course). Within this Institute, professionals from various universities, intuitions, and companies would be able to join their effort and expertise (more at http://www.cognisity.how/2017/11/PILT.html). My reflection to the voices of my students. First, one might ask why do I post all that feedback, isn’t this just bragging? No, it is not just bragging. I write on education (www.Cognisity.How), and I want to demonstrate that I know what I am writing about. I know about education not from books or theorization. I know about education from books, from my own theorization, and from my own highly successful teaching experience, from my whole educational practice. The first two paragraphs above are copies of the thank-you cards I got from two of my former students, the rest is the quotes from end-of-a-course (elementary physics I and II) student evaluations from 2008 to 2017 about me and the course I have designed. Those quotes represent about two thirds of positive (mostly) views expressed by students (the other third expresses sentiments very similar to already presented). 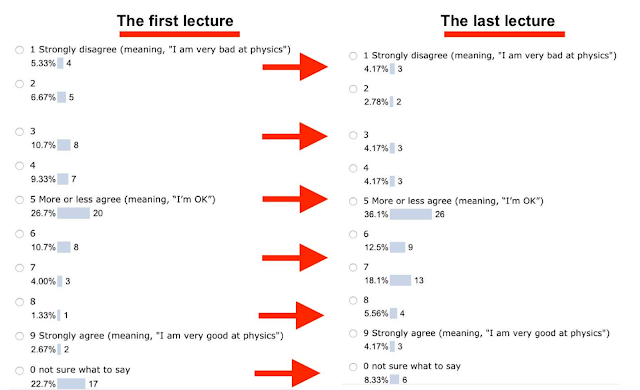 It is worth noting, that many comments go beyond just “he is a nice guy”; many comments underline the fact that the course is designed to help students to get good understanding of physics. Do I have any negative reviews from my former students? Having only positive reviews is unnatural for a teacher of a large class. When one has several dozen students with different backgrounds, different expectations, different cultural habits and psychological inclinations, it is inevitable and unavoidable to have student who did not like the way one teaches (due to a list of possible reasons). The first question is – does the teacher have more positive or more negative reviews? Well, in my case, if I had more negative reviews than positive ones, I would not be allowed to teach these courses for so many years. Since I am a teacher, it seems natural to me to evaluate my skills by comparing them with the skills of other teachers. Unfortunately, I have no access to statistic on other BU physics department faculty; I would even think that this statistic might not even exist. “Fortunately”, www.ratemyprofessor.com gives some glimpses of “comparable” “data”. Surly, no one can take seriously what students post on this site, at least until hundreds of students would express their opinions on the same professor. However, even with this amount of “data” we still can see some interesting patterns. There are faculty whose average rating is high because the most of the students’ ratings are high; there are faculty whose average rating is law because the most of the students’ ratings are law; there are faculty whose average rating is average because the most of the students’ ratings are average. But there are also faculty whose average ratemyprofessor rating is average because students’ ratings are very opposite (some give a high rating but some give a lower one). So far my ratemyprofessor rating is of the latter kind (good thing is that my official BU student reviews aren't such; but one can ask a general questions – what is more important, the average rating or the highest one?). Not fair. First exam was easy. But other exams were ridiculously hard. Exams are much more difficult than HW problems. Handwriting is horrible and it is difficult to understand him. Never tells what is exactly on the exam. Expects you to study everything he gives (labs, discussion, lectures, webassign, etc). Not clear at all. Very difficult to understand. Homework questions are not like questions done in class. Goes through too much material far too quickly. Do not take this class over the summer. 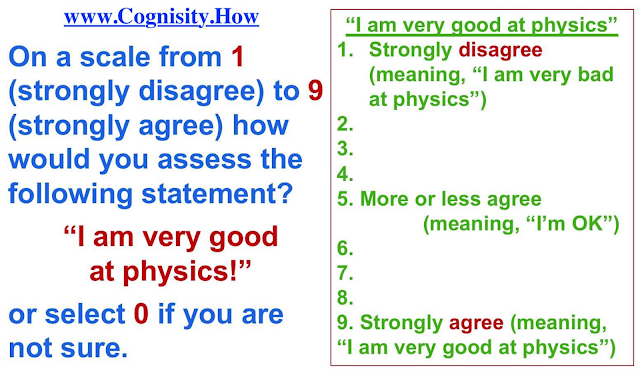 I took PY105 in the summer and although I honestly dislike physics, I did enjoy Mr. V's lectures. I guess his accent's gotten better because our class was the first to not complain about it (2016). The exams are generally difficult but graded more leniently that most other BU courses IMO. I'd love to have him for physics again for 106, he's chill. Very hard professor and moves at the pace of a fast train. he does not go through examples and thinks people understand concepts when they do not really. i really wish he would solidly lecture/explain more. Val is a great professor. He is somewhat difficult to understand and his handwriting is atrocious, but overall he does a good job getting the concepts across. He has some awesome in class demos which are fun to watch. He tests very similar to the homework problems, so if you understand the homework fully you'll be fine. Expects you to have read ahead of class and memorized everything. there is no required textbook, but he takes class problems, homework, and test questions from the one that he recommends, which is not helpful at all. he speeds thru things and doesn't give one time to write or properly digest the info. if he's teaching, take physics later. You would probably prefer having a GOOD teacher, and tried to avoid the BAD one. But the fact of the matter is those two descriptions depict the same person, i.e. me (BTW: on the first day of each new class I always show to my new students a much longer list of pros and cons)! I think this is very solid proof of the fact that different students have different learning styles and different teachers have different teaching styles, and sometimes those styles match and sometimes they don't. It is clear that students’ opinions about me are polarized, and I am absolutely fine with that. The large part of my first lecture is devoted to presenting to students my views on physics, on teaching, on learning, on grading, and on my expectations about students. (for example, take a look at this short video: https://www.youtube.com/watch?v=E8776nfGNX8; over the years I have posted many short youtube videos, including videos on what is physics and how to solve physical problems). I always mention a simple fact, that different students learn differently, people have different learning styles, and different teachers have different teaching styles, hence, there is always a chance that my teaching style does not math somebody's learning style. What to if that happens? Well, a student will have to make a decision – stay or go to a different teacher. So far (knock on wood) I represent a good match for the majority of students taking BU PY105 and PY106 courses. Among negative reviews the most common themes are: an accent (Russian), handwriting (guilty, my handwriting is not much better than the one of a regular doctor), too fast (well, the average speed of covering the material is equal to the total volume of the material divided by six weeks of the course), do not answer questions in full (that is sometimes true, it depends on a question, sometimes I just cannot spend much time on repeating the material learned two weeks ago and only can point at the material which is needed to be reviewed again), too forward with students (for example, when asking direct questions; an interesting observation – you ask a direct question to a student in a lecture and the student “shrinks”, but there is almost no problem if it happens on office hour). I believe that for any teacher the list of positive reviews from students should present the best recommendation for a teaching job. When I left my comfortable life in Russia and moved to the US I did not have professional network to rely on, or money, or language. It took me some time to finally land at Boston University physics department as a laboratory assistant. Gradually my English got better, and my knowledge of the new academic environment got clearer. After three years I got a promotion to run a demonstration facility. A year after I started teaching BU elementary physics courses, and I have been teaching physics since then. During the last several years, in addition to my full-time position at the demonstration facility, I also have been teaching, and traveling to different conferences with posters or presentations, and publishing various papers, but my dream has always been to became a full-time physics instructor. I have an experience in research on teaching physics, I have an administrative experience, I have been helping to school teachers and administrators to improve teaching environment (for the full resume, please, follow this link: http://teachology.xyz/mathhealth/rezume.htm), but at my core I am a physics teacher. My teacher philosophy, my views on what is teaching and what is learning are presented in my book “Braking the Mold of Conventional Thinking: a Personal Quest for Teaching Philosophy” available at https://www.smashwords.com/books/view/665204 (the short version of my teaching philosophy is attached as Appendix I). P.S. This link http://teachology.xyz/mathhealth/myinfo.htm leads to a page with links to copies of some actual evaluations form the past. The complete elementary Physics course (two semesters) is available online. Now everyone can see and hear what I do in a class. This is important for me because of many different reason, one of which is that I advocate for the maximum openness in education. I always tell to my students that there are science courses which represent the material simply as a collection of a disconnected facts. Courses like that do not represent students with the scientific way of thinking. Many people in the field of education for a long time have been propelling the idea of teaching students how to think critically, but they could not offer the method for how exactly this could be done. However, the method has been around for at least several hundred years, and is called – science thinking. 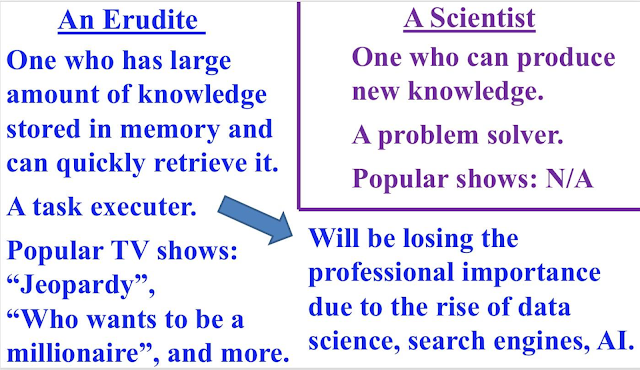 The true science course has to guide students through the scientific way of thinking using the course material (i.e. facts) as the building bricks of the science students learn. This is how my physics course is developed and taught. Naturally, not all student like my approach, the evidence shows that some of them do. Below you find a very short version of my teaching philosophy, which has been presented in great details in my book “Becoming a STEM teacher”. In chapters “What is Learning”, “What is Teaching”, “How I flipped my classroom without even knowing it”, “What does “Thinking as a Physicist” mean?”, and others I lay down the results of my reflection upon years of my (mostly successful) teaching (individual posts are also available at http://www.teachology.xyz/lc.htm). I believe that learning is more than just acquiring a certain set of skills and prescribed amount of knowledge. Learning is an important cultural process which happens when pupils (students) are being brought into the realm of relationships and traditions which should allow them (a) to prosper in the current society, and (b) to become active agents of the social progress. A teacher is a guide, who had become an expert in a certain field, and now helps students to begin and to walk a path to becoming an expert in the field he or she wants to become an expert. In order to guide students as efficiently as possible, a teacher has to use (and often develop) specific tools/instruments students should use when immersed into situations specifically designed to help them mastering designated skills. A teacher might be not the one who designs the whole set of student activities and corresponded learning tools, but he or she generally should have a deep understanding of the reasons for the use of the activities and tools. Students are not empty vases needed to be filled up with wisdom, not tabula rasa on which a teacher scribbles smart things. Students have certain world views, they have certain understanding of how the nature works, and a teacher cannot ignore ideas, conceptions, preconceptions (some of which might be incomplete or incorrect) students have when starting a course. The goal of learning is to achieve a higher level of competency. Passive learning does not work. Strictly speaking, passive learning is not really a learning, it is just a precursor for an actual learning. 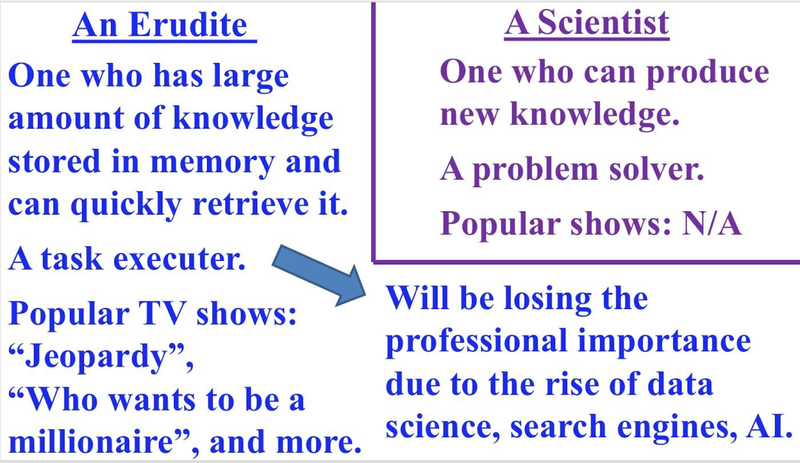 A true learning happens when students are actively trying to merge new knowledge (usually presented to them by a teacher live or via mediating media – books, videos) with the previously internalized knowledge. Very often students run into contradictions, some of which are often called “mistakes”. However, the only truly real way of learning is through making mistakes and reflecting on how those mistakes had been corrected. One of the most important qualities of a teacher is ability to guide students through mistakes they make (maneuvering between giving away the answer and making students feeling desperate). When assessing student’s progress, a teacher is not a judge, but rather an auditor who has to present to a student the accurate measure of student’s achievement (or a failure). In the end, the most important measure of a teacher’s success is good feeling students have about themselves, the course, the work students done during the course and the results of the work; and also the reputation of a teacher students pass along to fellow students. That is why the simplest definition of a “teacher” is “the person about whom someone said at least once – I’ve learned something valuable from that guy!”. #2 - a good student. Being a good teacher means having a proof of a successful teaching (e.g. the voices of my students). Being a good student means putting effort in learning. If you are a good student, you don't give up, you try and try again, and you are actively guiding your or learning by making your teacher work for you. If something is not clear for you, if you feel like you don't understand something - it's not your fault; it only means your teacher needs to find the right way adjusted specifically to you to help you to master the subject. If a teachers does good job, students not only learn the subject, but they also change their attitude to more positive side. 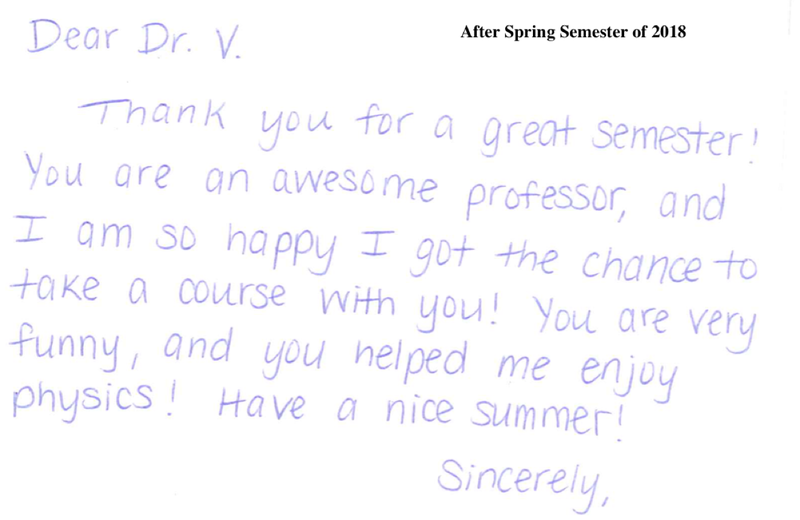 For example, my students always demonstrate the positive shift in their attitude. I think about things beyond education, too.